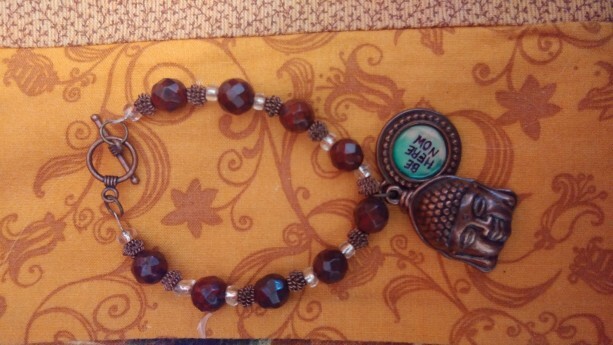 This bracelet with a buddha head charm and tag "Be Here Now" reminds us to live in the present moment. Bracelet features copper colored metal accents, clear glass seed beads and red stone beads. 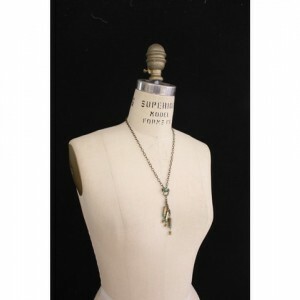 Measures 7" in length.